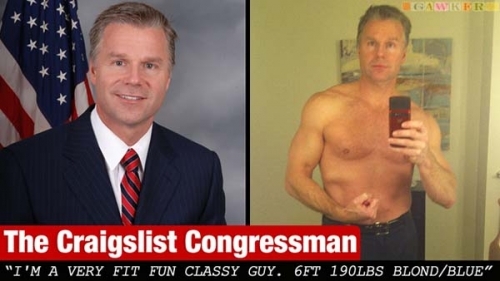 Congressman uses BlackBerry to take shirtless photo for Craigslist | BlackBerry Blast! Remember Rep. Christopher Lee, the married congressman who got busted sending shirtless pictures of himself to someone on Craigslist? Well, it turns out he used a red BB Torch to take the photos. Yep, busted because of his BlackBerry. I don't know how I missed this before, but I did. So yes, it caused a scandal and he had to resign all because of his little red BlackBerry Torch.